2 sheets of 70 circular stickers with 7 designs of top facts, e.g. tallest building, highest mountain, biggest volcano, largest population etc. 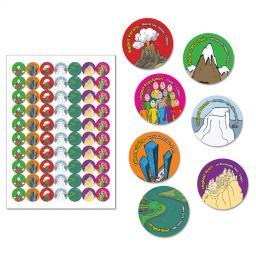 Great for motivating young geographers!